Location: This new three-to-five day Summer Math Institute is available to come to your district. Institute Leader: Tom Schersten has a gift for helping educators become comfortable and confident teaching the Common Core for Math. He succeeds with teachers who love math as well as those who might even hate it. He does this with the rigor of a mathematician, the gentleness of a kindergarten teacher, and the high expectations of the CCSS. Tom says, “We can combine high standards with ‘humane’ math instruction. We have to remember, not everyone learns math the same way. We’ve created a nation of math phobics by failing to respond to that simple truth. My aim is to help teachers right that wrong, for the sake of all our children.” Tom taught in K-8 classrooms for 20 years, with 8 years in grades 6-8, including 3 years of 8th grade algebra. A word about base ten blocks, pattern blocks, and the Common Core: The CCSS expects students to demonstrate their understanding through math modeling. Base ten blocks and pattern blocks are perfect tools for this. Their generous use invites many more learners into math than traditional teaching methods ever could. Learn how to use them to differentiate math instruction in a lively and deeply effective way for middle school math students. CONTENT: Tom will guide participants in the use of hands-on manipulatives to model the mathematics of Middle School with its new Common Core demands for arithmetic, algebraic, geometric, and statistical thinking. Demystifying the CCSS for your grade and making it your own. Teachers will catapult their understanding of CCSS expectations to new levels. This will be done through comprehension exercises designed both for teachers who feel they grasp math easily as well as those who don’t. Participants will have the distinct pleasure of experiencing what it feels like to have math taught to them the way they learn best. Understanding Common Core Math Content so well that you can teach math understanding, not just procedures. The Standards expect students to be able to explain the reasoning behind procedures that most teachers learned only by rote, such as inverting and multiplying when dividing by a fraction. In short, teachers must teach things they’ve never learned. This Institute is designed to rectify that with exciting differentiated teaching for the participants themselves.Participants will put their hands on base ten blocks and pattern blocks in order to UNDERSTAND the math in the Critical Areas of the Common Core that are selected for this training. (See Tailoring This Institute for Your Teachers, below.) Emphasis will be on arithmetic, algebraic, geometric, and statistical thinking.Then participants will learn how to use these same manipulatives to dynamically teach their students to understand the math for themselves. Learning how to use Common Core Math Practices to better teach math to all your students. Use of manipulatives such as base ten blocks and pattern blocks is a powerful form of math modeling for Grades 6-8 learners. Modeling is a math practice expected in the Common Core.Participants will learn how to use math modeling, questioning strategies, and differentiated instruction to effectively teach every one of their students. Experiencing sample lessons you can replicate back in your classroom in the fall. 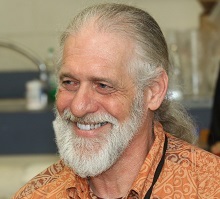 Tom will demonstrate exciting math lessons that captivate middle school minds. These lessons can be immediately replicated back in the classroom, with an emphasis on questioning strategies for leading the classroom conversation and for differentiating the instruction.Teachers will feel ready for math instruction in the fall in a whole new way! TAILORING THIS INSTITUTE TO YOUR TEACHERS: Institutes of three-to-five days are designed specifically for the requesting school or district in terms of the grade levels involved, the number of days encumbered, and the specific standards focused on during the week, many of which will be related to the Critical Areas of the Common Core at each grade level.